This is the Mac Dock alternative you've been looking for. Swap our your Mac Dock with this alternative, used by engineers at Facebook, Google and elsewhere. One thing all Mac users have in common is the Dock. Or so we thought. This customizable dock replacement is the favorite of engineers at Google, Facebook, LinkedIn and other tech heavy hitters. And now it can be yours — at half off the usual price! Mac app uBar 4 can be set as a dock or a taskbar, offering a ton of customization options. That includes tab grouping options, window previews, in-dock reminders, and plenty more. You’ll get plenty of options to ensure you can find just what you’re looking for with minimal effort. uBar 4 expands up to five rows, differentiating between hidden and viewable applications, app activity, badges, progress, status and other indicators. You can create favorites sections for your most-used apps, folders and files. uBar also helps you spot unresponsive apps and quit them quickly with the Shift key. You can even choose which monitor uBar appears on. If you’re done with Dock, this is the alternative you’re looking for. 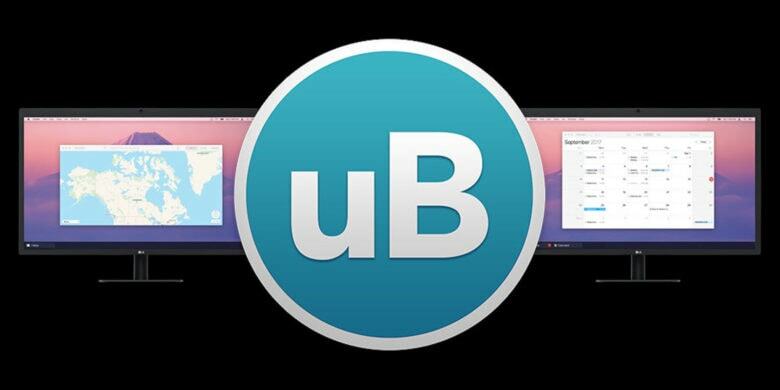 Buy now: Get the uBar 4 Toolbar for Mac for $15 — that’s half off the usual price.